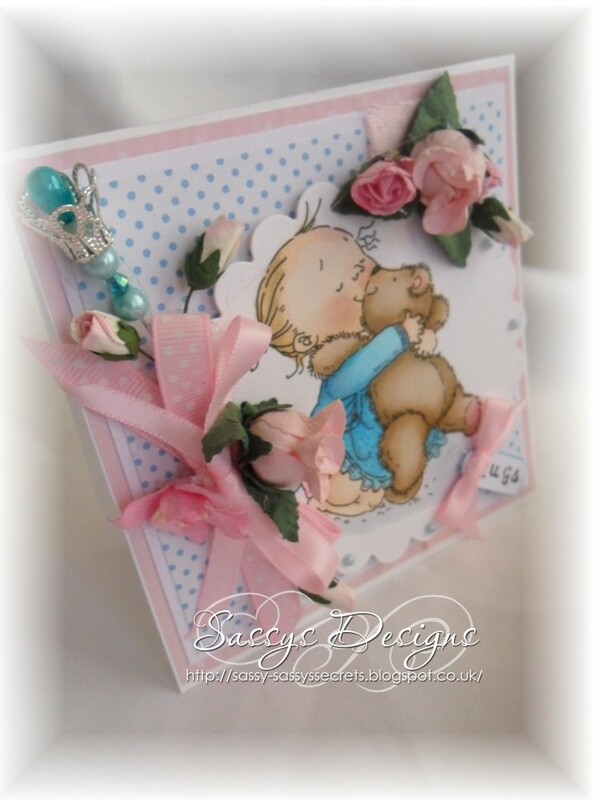 Gorgeous card Sassy, I like the adorable image, the colours and that big bow. Totally adorable Sassy. Beautiful image and colouring.